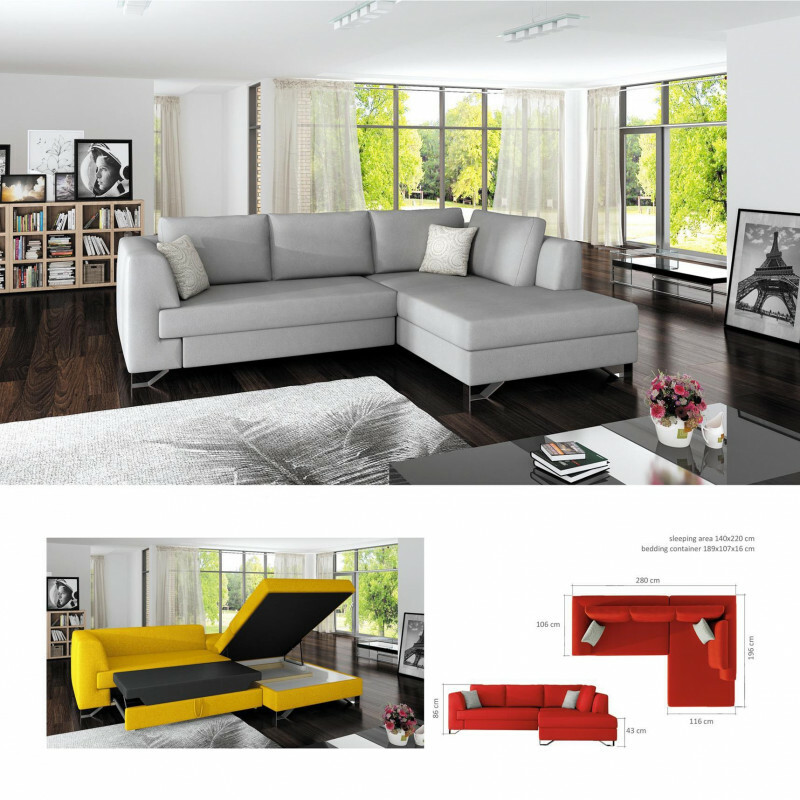 HIGH QUALITY CORNER SOFA FROM BMF ! CHOOSE YOUR COLOUR, FABRIC OR FAUX LEATHER TYPE, MATCH IT WITH YOUR INTERIOR. Wavy springs, 2 scatter cushions, pull-out bed function, medium-firm HR foam type, storage (bedding) container - 189cm x 107cm x 16cm. 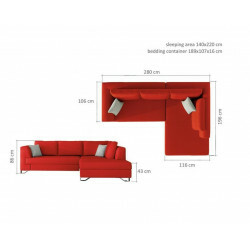 Sleeping area: 140cm x 200cmExcellent sofa, remarkable design, quality materials. 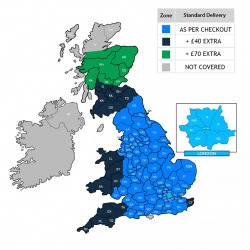 For an additional charge - usually 15% - 30% more this model is also available in BONDED LEATHER - BOND GRADE LEATHER !! !